I love following along with the Star Wars Weekends action at Disney World, but truth be told, every weekend is a Star Wars weekend in my house. We have a little superfan who makes sure of that. As a parent, it’s not hard to get excited about something the kids love so much. 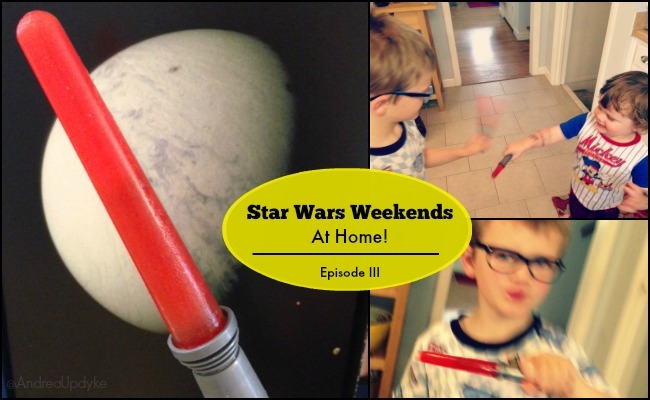 This weekend it’s pretty rainy so our Star Wars Weekend will include Lego Star Wars on Wii U , lots of pretend play and maybe a lightsaber popsicle or two! Yes, I am a sucker and I ordered the Star Wars Cook Book and coordinating “Ice Saber” Popsicle Molds . I’ll not apologize for being awesome. Like I said, we are going to be fans for life so little things like this just add to the fun. But not everything has to cost money! Have you been to Starwars.com lately? There is a treasure trove of awesome ideas and free printables to let your kids go crazy and have some fun. Perfect for a rainy summer day! 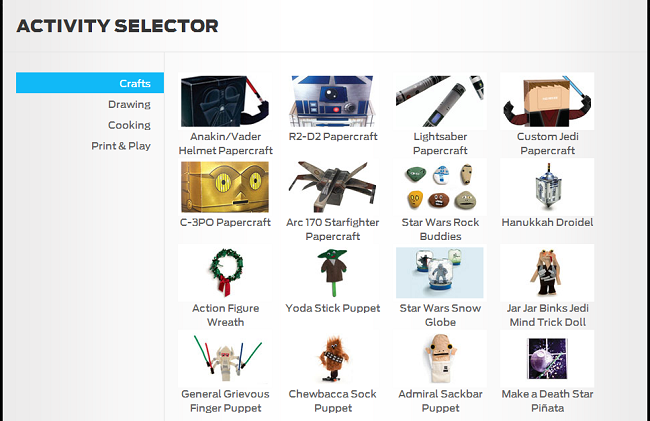 I’ve got my eye on that General Grievous finger puppet. And the Rock Buddies would get the kids outside in search of rocks and take time to paint. Maybe it would actually last longer than ten minutes! Yes, that is a win. But no pressure here. Maybe you just want to stay in your PJs and have a Star Wars movie marathon. I am down with that too. And for even more options if your kids are old enough, you can watch six seasons of Star Wars: The Clone Wars on Netflix Instant! Finally, if you somehow missed it, check out the new Star Wars Half Marathon weekend just announced by runDisney this week! It’s going to be epic! Registration starts next week. I hear California is lovely in January!